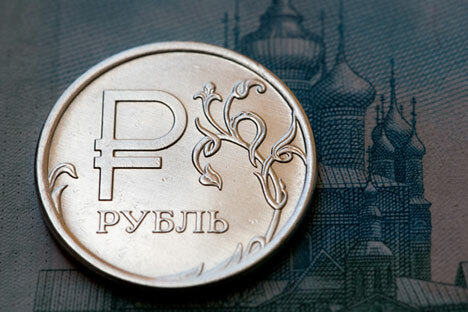 Russians have had to adjust their consumer behavior to the ongoing economic crisis. Some 62 percent of them have switched to buying cheaper food and goods (against 58 percent in January), the Russian Public Opinion Study Center (VTsIOM) said. The number of people who have been buying fewer goods and spending less on their entertainment or have stopped doing so at all more than six months ago has markedly grown (from 21 percent in January to 37 percent in September), VTsIOM said, presenting a poll of 1,600 individuals held in 130 populated localities in 46 regions on September 26-27. Another 20 percent said they had been acting in that manner for the past six months, and 7 percent began to spend less on food, goods or entertainment or stopped making some purchases in the past month (23 percent in January). The percentage of respondents who set no limits to their consumption of goods and services has been stable, 34 percent both in January and in September. Thirty-eight percent of Russians make food reserves, and 36 percent grow more vegetables and fruit in their vegetable gardens and make their own jams and preserves. Thirty-five percent are looking for higher pay or extra jobs. About a third (31 percent) are spending their savings on daily needs, 24 percent borrow money from banks, 26 percent borrow from their acquaintances and 23 percent accept gratis aid from their families. Only 9 percent are making hard currency savings and 5 percent are selling valuable property.